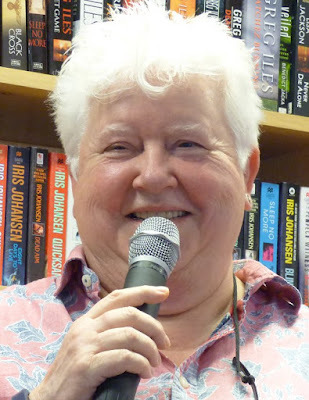 Val McDermid at The Poisoned Pen! Denis was definitely pouting when I jumped in the Jeep and headed to Scottsdale to my favorite bookstore, The Poisoned Pen. I think he's almost as addicted to the author events there as I am. 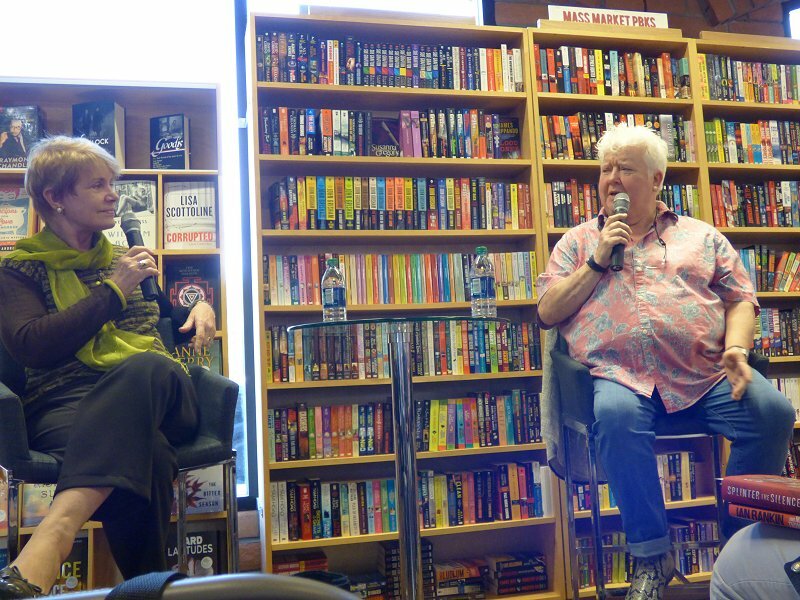 Unfortunately, he had to head for work while I got to go have fun-- and meet one of my all-time favorite authors, Val McDermid. I first became hooked on her writing several years ago with her Kate Brannigan series set in Manchester, England. 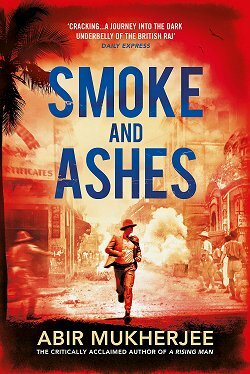 Among her other series features the ever-popular Dr. Tony Hill and DCI Carol Jordan, and she's also written non-fiction and several standalone books. One of those standalones is one of my all-time favorite books, A Place of Execution. I think you can see by now why this particular author event was a Must Attend for me! Naturally I arrived plenty early to snag my favorite seat. I made my purchase, and then sat in the back to get back into an ARC that's really grabbed my attention: Fiona Barton's The Widow. (Alas, I won't be able to attend Barton's Poisoned Pen event....) Off and on I came up for air to chat with other customers, mostly to exchange book recommendations, but I did get to meet Bisbee the service dog who was named for the town where J.A. Jance's Sheriff Joanna Brady mysteries take place. When Val appeared, we learned that, once again, host Barbara Peters had been friends with her for over twenty years. 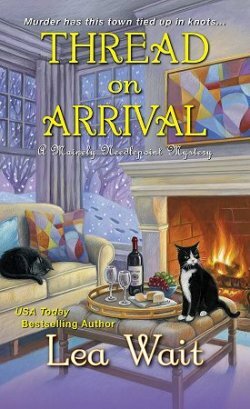 The very first thing Barbara wanted to know was if Val had ever thought of bringing private investigator Kate Brannigan back. It seems Barbara and I are both fans of that series. McDermid shook her head. "She stopped talking to me," she replied. "Oh, you no longer live in Manchester, so that's probably a reason," Peters said. "No, I'm in Manchester two nights a week," Val said. It seems that Kate just doesn't want to be her muse anymore, and if you're wondering, Val's main home is in Edinburgh, Scotland. Val grew up in small, working class Fife, Scotland, where it was expected that "if you were a very good student, you'd go to Edinburgh University or St. Andrews. If you weren't quite as good, you'd go to Dundee or Glasgow to school, and then you'd come back to Fife, get a job, and settle down." That's not what Val wanted. "I wanted to go abroad-- which meant England," Val said. It made us all laugh, but England was totally foreign to her. "There were three educational options for me in England: Cambridge, Oxford, or the Kensington School of Needlework. Heaven help us all if I'd gone to the Kensington School!" Barbara and Val then began to share stories of the legendary P.D. James. Val told us of the time Phyllis Dorothy James had been asked to give the after dinner speech at a large gathering of professionals. "They neglected to tell Phyllis that the after dinner speech is normally light, short, and humorous," Val remembered. "She proceeded to give a lecture on Dorothy L. Sayers and the part her religious life played in her fiction. People began nodding off all over the room, and one man actually fell asleep and cracked his head on the table!" Barbara then told us of the time she spent a half hour in the powder room at the Ritz talking to James. "It could have been a lot longer, but one of my friends came in to check to see if I'd locked myself in one of the stalls." James once asked Val and fellow author Ruth Rendell to participate in a series on crime writing at the Bodleian. Val remembers Rendell as being shy and behaving like an Oxford lecturer. "Never make an unsupported comment around her; she'd jump right on it!" Val said. Barbara nodded in agreement and shared her experience of being paired with Rendell during a Bouchercon in Los Angeles for three meals a day for the duration. "Ruth had no small talk whatsoever, and I soon ran out of things to chat about. I've never felt so inadequate in my life!" Val saw P.D. James when James was 92. "It's good to see someone of your age still in possession of all their marbles," McDermid told her. "Yes, I did," Val replied. "Phyllis told me, 'My dear Val, I'm afraid some of the marbles have rolled under the sofa.' When I asked her if it were true that she really wasn't writing, she said, 'Yes. I don't want to die in the middle of a Dalgliesh and have one of you lot finishing it!'" At this point I knew I could've sat there and listened to these two women talk all day (and then some). "We have to get to your books!" Barbara exclaimed, and Val proceeded to tell us about an idea that turned into the first Tony Hill/Carol Jordan book, The Mermaids Singing. She was driving down the motorway when an idea-- like Athena leaping fully grown from Zeus's forehead-- came to her. So afraid that this idea would disappear never to be seen again, she pulled off on the shoulder of the road to write it down. "At the time, there were no serial killer or profiler books being written in the UK," Val said. "Oh, there were plenty in the US, but the trend hadn't made it to the UK. I didn't know exactly what I was going to do with this idea, so I filed it away until I saw a psychologist being interviewed on television. I knew that he was the person I needed to talk to. However, when I tried to explain to him what I wanted to do and how I needed his help, he looked at me and said, 'How do I know you're not a nutter?'" When we stopped laughing, she continued. "So I sent him a couple of my Kate Brannigan books." Weeks go by without a word when she gets a phone call from the man. "'My wife and I have read your books. We've decided you're not a nutter,' he said." "I had no idea that The Mermaids Singing would win the Gold Dagger," Val said. "At that time, the Crime Writers Association was a rather... settled... institution, and only the established writers won the gold. We young bloods had to be content with the Silver Dagger. After I won the gold, more young bloods began to win it." The talk then turned to books in translation. When told that the French translation of one of her Kate Brannigan books had won an award, and since she could read French, Val decided to read the translated novel. "I felt slightly dislocated," Val said. "I would stop reading to say, 'This is not the book I wrote!'" She soon came to realize that any time the translator didn't understand a cultural reference or a joke, it was left out of the book. "To this day, I still have no idea why I won an award for that book!" Val said with a laugh. Barbara then told us about being contacted by translator Steven T. Murray, who lives in Albuquerque. 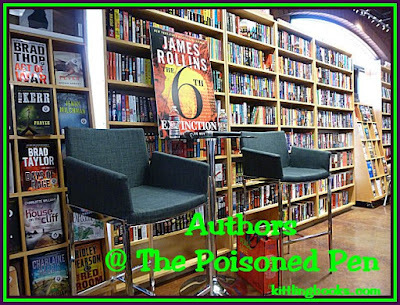 Swedish crime fiction author Camilla Läckberg was going to appear at The Poisoned Pen, and since Murray translated her books into English, he wanted to know if it was all right if he came to meet her. During the event, the attendees learned that Murray had also translated Stieg Larsson's The Girl With the Dragon Tattoo. "But you aren't listed as the translator," Barbara remarked. There was a very good reason for that. When Murray turned in his translated manuscript to the UK publisher, the publisher evidently thought he knew more about translating than Murray did and changed 2,000 words of his translation. As a result, Murray refused to have his name anywhere in the published book. 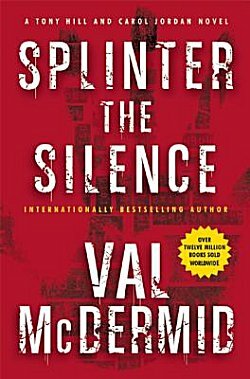 Val told us, "I think the Scandinavian crime fiction community is the same as those in the rest of the world. 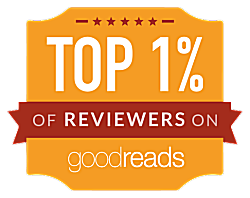 They have a handful of authors who are really, really good. They have another group that's pretty good, and the rest are mediocre. I think publishers have worked their way through the first two groups and are now searching through the bottom of the barrel." When Val wrote the first Tony Hill/Carol Jordan book, she was writing it as a standalone. It wasn't until she was three quarters of the way through writing The Mermaids Singing that she realized that her two characters had many more stories to tell-- and more to tell us about their personal and professional lives. Carol Jordan was added to be both a foil to Tony Hill and a bridge to other characters. "She also adds additional tension," Barbara remarked, and Val nodded in agreement. "However this series ends," Val informed us, "neither of these characters will be bumped off. There will be no hail of bullets. I don't want to kill them off and then have this absolutely brilliant idea...."
She wouldn't tell us much about her latest Splinter the Silence other than it has something to do with internet trolling. 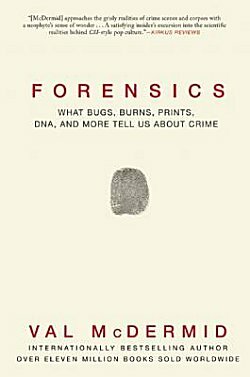 She had much more to say about her non-fiction title, Forensics: What Bugs, Burns, Prints, DNA, and More Tell Us About Crime. Val was approached several times by the Wellcome Library to write a book to coincide with the opening of their refurbished building. "I kept turning them down, and they kept asking until I finally gave in, on the proviso that what I would write would be a series of interviews with forensic scientists. It's a wonderful organization and well worth a visit if you find yourself in London. I can't say enough about the level of cooperation I received from them and the access to materials that they gave me," McDermid said. "I've always been the type of person who's never liked bugs or any other sort of creepy crawly," Val admitted (to many nods of commiseration). "However, the forensic entomologist I interviewed had me thinking that bugs were absolutely wonderful!" She then went on to tell us about a huge pile of maggots that were found in a derelict building. They were convinced that there were too many maggots for a dead cat or bird, and through painstaking work-- that involved obtaining human DNA from between the maggots' tiny teeth-- they were able to identify the body (no one knew he was dead), and they actually wound up getting a conviction! Barbara then alerted us to another McDermid title: A Suitable Job for a Woman: Inside the World of Women Private Eyes, which was published by Poisoned Pen Press. It was originally published in 1995, which means that-- as Barbara said-- it's more of an historical document than anything else. It explores the lives of female private investigators in the US and UK. "Yes, I spent about two months driving around America talking to these strange women," McDermid chuckled. She was at a book signing at Sunderland (northeast England) when a woman wearing big dark glasses and a Trilby hat walked up to her and threw a bottle of ink in her face. "Ruined a perfectly good bra!" McDermid remarked. In the ensuing legal action, it was discovered that the ink-wielding woman was a member of a well-known crime family, and a friend had told her, "Sandra, you're in this book!" (Val's book on female private eyes) Sandra was "a bit offended" and thought the ink was a good way to retaliate. As the event drew to a close, McDermid told us that she likes writing standalones because she gets to "explore different worlds and different situations" in them. 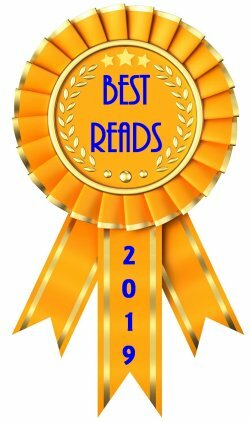 Barbara brought up one of my favorite McDermid titles, The Grave Tattoo, which made Val smile. "I just filled in the gaps in the historical record," she said. She then assured us that there will be a new Tony Hill/Carol Jordan book the year after next, but wouldn't say a word more. 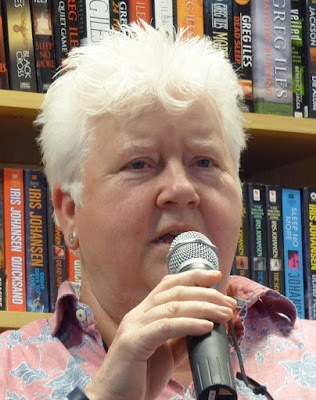 Then a fan asked McDermid what she enjoyed reading, and Val gave us a gold mine of author names: Megan Abbott, Laura Lippman, Michael Robotham (both Peters and McDermid were in raptures over The Night Ferry), Denise Mina, Belinda Bauer, and Eva Dolan. Don't you love it when authors share what they love to read? And that's it. That hour went by much too quickly. I could've sat and listened to Barbara and Val for as long as they wanted to talk. Fascinating and so much fun! Now, that's what I call a special night, Cathy. I'm so glad you had that opportunity. And I am interested in what the new McDermid will be like. Her usual excellent stuff, I would imagine! She's a favorite of mine too. The first I read was A Place of Execution, wow, what a story. Now I'm reading The Dr. Tony Hill series. She certainly knows how to tell a story, doesn't she? The book on forensics and the one on female private eyes both sound interesting to me. And having a character not talk to you? Been there, done that. See? That's the main reason why I'm not a writer-- no character has ever spoken to me unless I'm reading. The printed page has to come first! Lol! Patty wouldn't talk to me for thirteen years after I wrote Reef Runner, except for one short story. I gave up on her before she decided to pop back up and say hi again. Lovely post ..very interesting and enjoyable! Thanks for sharing. Oh, thanks for the link; I'll have to check it out! Oh, what a great summary and terrific subject. I would love to hear Val McDermid in person. I've heard a few interviews with her. I've read two early books by her. I'm trying to figure out what books by her I should read. I saw the PBS version of A Place of Execution so I know what happens, but that isn't the same as reading a book. The Hill/Jordan books seem too violent. So I need some stand-alones. But what a great evening. No wonder Denis was a bit grumpy. 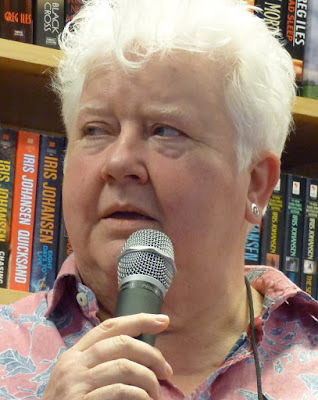 I've had been a lot grumpy about missing Val McDermid. Thanks for this hilarious write-up. Denis was grumpy simply because he couldn't go; he hasn't actually read any of McDermid's books. I'm glad you enjoyed the recap, Kathy! This sounds like an amazing night Cathy - I need to revisit McDermid now!